The Signals will help you to know whether the market movement will be going higher or lower! Anyone can easily use this 3 strong combinations from Hirose Financial MY although you never traded Binary Options before. What is exactly the combination of 3 strong signals? T-Channel automatically draws resistance and support lines on the charts. It makes it easier for you to identify the resistance and support lines on the current the market. You can either aim for profits within the range the lines indicate or at the moment the market price breaks out. Semipermanent Earning Method Only Now Available From Hirose! With the signal you will be able to earn stable profits. Of course, it can be used for Forex Trading too! * White circles are the turning point of direction. New-MOVE is an upgraded version of a moving average which makes it clear the current market trend with different colors. When the line is Green, it indicates uptrend for a Buy sign. When the line is Yellow, it indicates a flat trend and you may hold at the moment. When the line is Red, it indicates downtrend for a Sell sign. Color of the moving average lines changes following the market trend. Idealistic for the moving average lovers. Binary Options Trading requires a certain level of the market trend analysis. In the market, there are only 3 trends; Up, Down or Range, and it is thus important to make entry trades following the market trend. Hirose Binary forecast ver 2 will allow you not to make unnecessary trades and keep your winning ratio higher. In other words you will only be trading following the market trend. ■ Tells you a High/Low point with an arrow sign. ■ Tells you when the market has formed a trend. ■ Tells you when the market breaks out Highs or Lows. ■ The winning ratio is higher than the previous version. If you are looking for a solution for the successful Binary Trading, here is the answer. It will be working more efficiently with Hirose Binary Forecast 2. And see the following chart, after 10mins, the rate has hit above resistance line and it went down. T-Channel will show these lines automatically on the chart are good indication to recognise the market movement whether it goes higher or lower. It's just for 5 mins Video! Let's Watch How to Work efficiently these Signals! If you could not play the above video, please click here to watch with another format! How Can I Get Super Signals? Click here & Make your Deposit now. (Please refer how to make a deposit here). Super Signal Is There For You. Will assist you in improving your trading performance by telling you what you need to know about the market trend. Will be a perfect educational tool as well for you. m deposit of $100 (or £100). I initially doubted that this Super Signal would work for a trader like myself. Now, I feel lucky that I have acquired this as my trading performance has improved a lot! Hi, the indicator has been running well. I was not constantly making profits but my winning ratio has gone up with the indicator. My initial idea about Binary Options was gambling, but now I understand that it is not. I have been unable to make results I desire but am hopeful that the indicator will help me out. Hirose Binary forecast 2 has been a great help for me and my performance has been improving. I am expecting that my recent performance will cover up my losses. I learned about Hirose Signals from a Hirose customer support person over the telephone. I did not initially believe what he was telling me but I now realise that this is actually great and works well for me! Last week I made an investment of $ 1000, and I hope that this Robots will help me to double it!! I am currently learning about the market trend using Hirose Signals. I want to learn to follow the market trend. The Signals are good in a way that these tell me when the market trend has changed. Really good, I've been able to make more profits than ever before. I am currently using two of the three. I am making trades when both of them give a strong signal. Thanks to signals from Hirose now I can make profits and recently I withdrew my profits. I appreciate a quick withdrawal as well!! In my opinion Signals are nice and helpful, but a little bit expensive. Hopefully later Hirose considers lowering the minimum deposits for these…because it really works!! I never tried signals and it took me some time to set them up. I appreciate Hirose Staff who kindly assisted me over the phone. Not too bad.. In fact has been helpful. I am not good at trading…I always end up losing my money. I hope these signals will help me out!! Thank you Hirose. God bless. 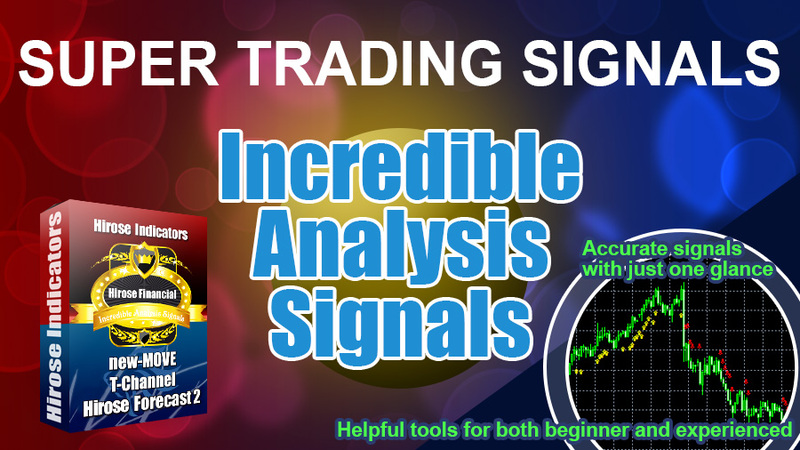 I have learned how to make an entry from Super Signals. Binary Options are better than Forex in respect of placing a stop order. I always struggled with this but I do not have to worry about it now as the option expires itself and close my positions. I did not know anything about binary options but with Hirose Signals I could drastically improve my performance and earn a lot of profits. Now I cannot live without signals! This promotion is only valid for deposits you make into your Live Binary Options account. Promotion will run From 1st April 2019 to 30th April 2019. *Please note that the $100 (or £100) deposit you make into your Binary Options Account can be used for your trading purpose. I have made a 100USD deposit. Please send me a signal package. This signal promotion cannot be offerred together with any deposit bonus campaigns. For more details regarding the super signals campaign, please refer to the Terms and Conditions. RISK WARNING: For Trading in Binary Options carries a high level of risk and may not be suitable for all investors. You may sustain a loss of some or all of your investment. Therefore, you should not invest money that you cannot afford to lose. For more information, please click Terms and Conditions which gives you a fuller explanation of some of the risks involved. The information on this site is not directed at residents of the United States, Japan, EU and EEA countries and is not intended for distribution to, or use by, any person in any country or jurisdiction where such distribution or use would be contrary to local law or regulation. Copyright c 2018 Hirose Financial. All rights reserved.